You finally decided you want to take the plunge and plan a trip using miles and points. You have heard others do it. Even read online about ‘travel hacking’ your way to (almost) free vacations. This guide will walk you through exactly that. It will show you the steps I go through for travel hacking a trip with miles and points. 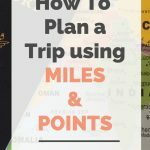 It’s a very step-by-step post, but I felt that was important if you are just starting out with miles and points. It is not for an advanced travel hacker that knows the sweet spots of all the redemption charts – but you are welcome to read and let me know if you would do anything differently. It really can be overwhelming. I have studied this for 6-7 years now and, in the beginning, my head would ache because of everything I read. However, what you get in return is a vacation for pennies on the dollar. It is amazing to think of all the places we have traveled using miles and points. These are guidelines I am using right now as I help my sister do the same thing. 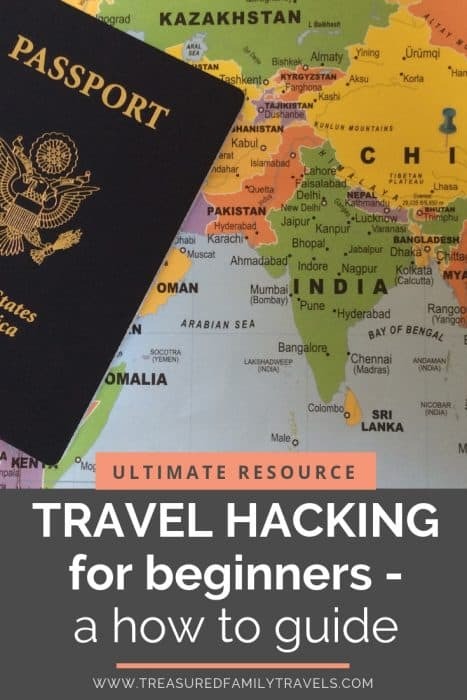 We are planning to take both our families to Europe in the summer of 2020 and she wanted step-by-step guidance on how to travel hack with miles and points; therefore, this is a beginner guide to travel hacking. Where do you want miles and points to take you? Travel hacking took us to Hong Kong! In order to collect the required miles and points, you need to start well ahead of time, especially if kids are going because they can’t open credit cards. My sister had some large bills coming up, so it was the right time to get some credit cards and earn the bonus points. It may take a year to accumulate them. It also depends on your monthly spend and what you can charge to these credit cards. Since most hotels can be booked a year in advance (with no penalty for canceling up to a few days before arrival), those of you that love to plan (that would be me!) can start making reservations quite early. This is important because you need to know how many free hotel nights you need. Obviously, the longer your stay, the more points you need to accumulate. Our trip: We are going to Europe for 2 weeks. That means we need points to cover 12-13 nights of hotels. Is it a single destination such as San Francisco? Or is it several such as main cities in Europe? If it is the latter, start with a list of cities you want to see and the timeframe you have. Keep in mind it is easier to visit places that are a drivable (or on a train line) instead of ones that require a plane. How much can you really see in a day? You could hit the highlights of course. But, if you want to get a good feel for the city and not be rushed, spend several days. Especially if you are thinking of going to capital cities such as London, Paris or Rome. Kids are also another deciding factor. Personally, with a child, I don’t like to be on the go so often. I like being able to take our time, come back to the hotel, relax and get a good nights sleep before heading out the next day. We also enjoy using the hotel swimming pool or going to the beach, if there is one nearby. So make sure and factor that in. You also need transportation time if you are headed to more than one place. For example, London-Paris-Brussels is an easier, more concise trip than London-Rome-Warsaw. Find a map and check the distance between your desired locations. You may have to give up somewhere that is on your destination list. That’s ok. You want to use your vacation time wisely and not be driving or taking the train when you could be out exploring. Another thing to keep in mind is the availability of points hotels. In larger cities, you will have plenty of options to choose from. In those smaller, quaint towns, not so much. 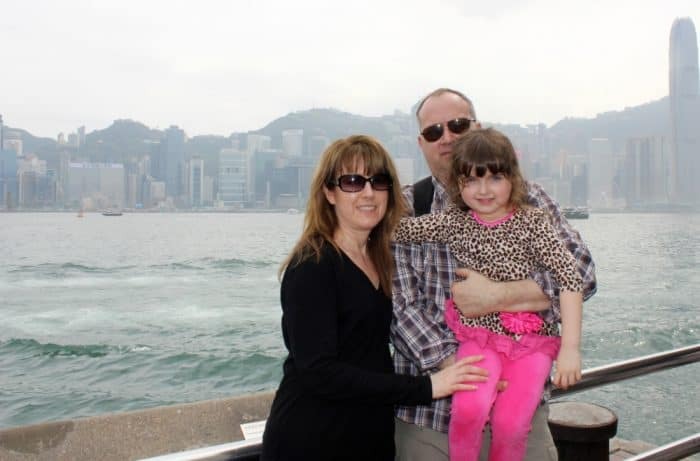 Our trip: My sister knew she wanted to go to London and Paris, so this part was easy for us. In addition, her husband wanted to see some of Switzerland. The challenge was fitting this all into a 2-week timeframe. Yes, there are quite a few people who would probably visit 10 destinations in 14 days. But, I am not one of them. While I knew we could earn points for our London and Paris stays, our Switzerland one isn’t as easy. I really didn’t want to go to Zurich or Geneva (although I have been there and taking a boat ride on Lake Geneva is breathtaking). But rather, we wanted a quintessential Swiss town. Well, those Swiss towns do not have large chain points-redeeming hotels. However, there are other options. We will discuss those below. This is important because the length of time will determine how many hotel points you need to earn. Some hotel chains give you the 4th or 5th night free, so make sure you take this into consideration as you are planning out your nights. If you have the IHG premier card, your 4th award night is free. So, if you decided to stay 3 or 4 nights, the award price is the same. Likewise for Hilton, SPG and Marriott. Your 5th night is free when paying with points. Just be sure to sign up for the rewards programs – this benefit only applies to members. I always try and take advantage of this benefit as it reduces the number of points needed. Unfortunately, it doesn’t always work out, but it’s great when it does. Our trip: To take advantage of this benefit, we decided to stay 5 nights in both London and Paris and then 3 nights somewhere in Switzerland. In order to plan out your hotel credit card strategy, you need to decide which chains you will stay at. At this point, you need to do some investigative work. Start by searching which hotel chains are dominant in the area you plan to visit. Next, do a deep dive into the award price per night at specific hotels within those chains. It’s easy to browse the chain’s website, set the switch to pay with points and then sort by lowest to highest. There is also a tool called AwardMapper. Enter a destination and it shows you all the main points hotels in the area that you book. It also lists the number of points required per night. AwardMapper does NOT tell you if there is availability for your stay or for the number in your party. As an example, below is a screenshot for London. You can select the hotel chains on the left. The right side shows you all the individual hotels along with the required number of points. Hotels in major cities are notoriously expensive. And the point redemptions coincide with that. If you don’t mind traveling further out, hotels on the outskirts of a large city are a good deal, especially if you can easily reach the city center by way of a metro line. We did this the last time we went to London and stayed about 20 minutes away (by Tube) at the Hilton Canary Wharf. Use the information gathered to determine what hotel chain you need to accumulate points for. Most likely depending on the hotel you choose, you and your partner would both need to apply to double up on the bonus. Our Trip: Because of Hilton’s 5th-night free benefit, we decided to stay 5 nights in London. We don’t yet know exactly where we will stay (there are 27 Hiltons! ), but we plan to accumulate Hilton points. We also decided to also stay 5 nights in Paris. This will be our last destination, so our final day would be flying home. We haven’t quite nailed down this hotel chain yet. It’s between Marriott and Radisson right now. Determine which airlines fly to your first destination. I like to use Skyscanner.com. Once you know that, you can start planning your credit card strategy for free flights. For first-time travel hackers with a family, I often recommend starting with American Airlines. American flies most everywhere (or their travel partners do) and their miles are easiest to come by. This is because there are two credit card issuers of American miles: Citibank and Barclays. With two people signing up for credit cards, you could net 200,000 – 240,000 miles with each person signing up for one card from each bank. Most Citibank American Airlines cards waive the annual fee the first year, however, Barclays does not. You pay the annual fee on the first bill and receive the bonus points – there is no minimum spend with the Barclays AA cards. American also has peak and non-peak dates for travel to some destinations such as Europe, South America and Hawaii. See their award chart for specific details regarding flights to your destination. Once you get the hang of travel hacking, you can branch out into more complex use of airline points where you travel on a partner airline’s miles. You would do this if that carriers award chart has a lower point redemption or if it’s easier to accumulate those miles. In addition, transferrable miles such as those from Chase’s Ultimate Rewards or American Express’s Membership Rewards may only transfer to a travel partner. Our trip: The American Airlines approach is exactly what my sister took. She lucked out on timing because both banks were giving a 60,000 miles signup bonus. Her and her husband both signed up for one card from each bank giving them a total of 240,000 miles. This isn’t as easy as it sounds. While you may be able to apply for offers, it’s meeting the minimum spend that is often the difficult part. As I mentioned, my sister had some pretty significant bills coming up that she could charge (and then pay off!) to meet the minimum spend on several cards. Don’t carry a balance on travel rewards cards because their interest rates are usually higher than others! Our car insurance is due May and November with house insurance also being in November. October is a good month for us to apply for any cards because we can meet ½ the minimum spend with those two bills. When my daughter was in daycare, I always paid her tuition with a credit card. There was not an increased fee, so this was an easy way to meet spending. I buy a $500 Amazon gift card. I always shop on Amazon, so I would ‘pay ahead’ for my things if I needed some final spending. If a large purchase was coming up, we would make sure to sign up for any credit cards beforehand so we could charge the purchase to the new card. Everything gets paid with credit cards: groceries, cell phone bills, electricity and gas payments. Some places allow you to pay rent and car payments with a credit card, but I have never personally tried those. Keep in mind that many cards have a small business version too. If you qualify for those, that can be an extra stash of points for you. NOTE: Remember to sign up for the airline or hotels loyal program first before applying for credit cards. You can then add your loyalty number to your credit card application. This ensures your points will not get ‘lost’ anywhere and they are all in one account. However, you and your partner must have separate accounts. There are some loyalty programs that allow you to merge your points if you need to do so. Some hotels (as well as airlines) have more than one credit card that earns loyalty points. Often, the cards differ in their benefits, annual fee and even the minimum spend required. Read through the various offers and see which one (or two) meets your needs best. Don’t pay a high annual fee unless you can recoup it through benefits. In addition, some credit card points can be transferred to hotels. For example, Chase Ultimate Rewards can be transferred to Hyatt Hotels, Southwest Airlines or United Airlines, just to name a few that I transfer to. There can be so many different blog posts to cover the many details of points. If you have any questions, please leave them in the comments. 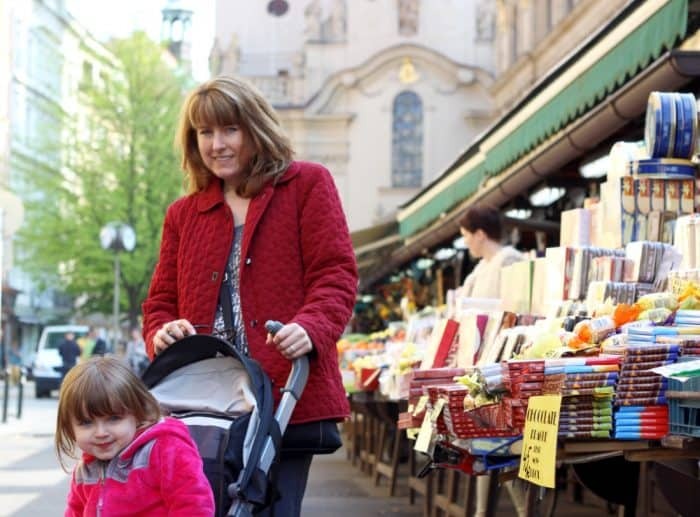 Visiting the Prague Easter Markets courtesy of travel hacking! As I alluded to earlier, there are other credit cards that can be used for other travel expenses. Cards such as Barclays’ Arrival Plus or the CapitalOne Venture allow you ‘erase’ purchases on your account with points you earn from spending. The signup bonuses on these cards range from $500 – $700 cash back that can be used to offset miscellaneous expenses such as hotels that are not ‘points’ hotels, train travel, sightseeing tickets, etc. Both of these cards offer no annual fees for the first year of ownership. Read the fine print on any card to see what may be classified as being able to receive this cash back. For example, your travel expense must total at least $100 on the Arrival Plus card in order to redeem cash for it. You now have a plethora of credit cards, miles and points. Keeping track of expiration dates is something you need to set up from the start. Award Wallet keeps track of all my miles and points. Yes, setup was a little tedious and time consuming, but I have used it for years and it is a life-saver because I can easily see when our points are expiring. There is a free version and a premium version with more features. Here is a referral signup link for Award Wallet. I refer to my credit card list spreadsheet all the time when applying for new cards as well as seeing when they need to be closed in order to not pay the annual fee. It tracks the name of the card, when it was opened, closed and the number of bonus points (or cash) received. I keep this regularly updated when we open or close credit cards. You can get this spreadsheet (and others) in my resource library when you sign up for my newsletter. You now have all the points and miles needed for an almost free vacation. Start with booking your airfare. If you are flexible with days, you shouldn’t have any difficulty booking coach airfare (premium classes are harder to book on points) at the time the schedule opens. Usually, this is 11 -12 months in advance, but you need to verify with your carrier. Most hotels allow you to book stays 1 year in advance (Radisson comes to mind only allowing you to book points stays 270 days ahead). Look at the cancellation policy, but usually, you can cancel without penalty up to 48 hours of arrival. Since your hotel dates are dependant on your arrival date, don’t book hotels until after you have solidified air travel plans. However, this only applies if you are booking your airfare when the schedule opens. If you are still waiting on your airline miles to accumulate, go ahead and book the hotel as it can usually be changed unless the hotel sells out. That’s it! Once you have booked your air and hotel using miles and points, the majority of your work is completed. The only extra ‘cost’ my sister incurred was additional airfare miles because she has two children. BE AWARE: It can be difficult to find hotel rooms in Europe allowing three people in a room, let alone four. You just need to keep searching, opt for a larger room or even reserve two rooms. It is possible to travel cheaply using travel hacking strategies with miles and points outlined here. Many of these tips can be applied to all destinations knowing that places such as Australia and Asia take more airline points to fly for free. Keep in mind you will need to pay airlines taxes on your award. These can vary by destination and carrier. Hotel rewards do not charge tax, however, we have been charged a small supplement per person in Europe before (around €2). Organization is key though. Don’t let your points expire and don’t pay an annual fee on the second year of a credit card unless the benefits outweigh it (I keep my Chase Sapphire Reserve for the lounge access and car rental benefits). Were you able to travel hack with miles and points? I’d love to hear your story! If you have any questions, please leave them in the comments and I will get back to you. If you found this post useful, please PIN it! Thanks. I am so glad you posted this! We have just started using points and miles and I feel like there is so much I don’t know! You really break it down into manageable bites. Will definitely be using your advice on our upcoming trips. Thanks, Christy! It took me a while to be comfortable with it. But, if you start with one thing it makes it more manageable. If you have any questions, don’t hesitate to ask! Thanks for this post, I completely forgot about awardmapper! I need to check it out for upcoming trips! I actually forget about it sometimes too! It’s just so helpful when I do remember though 🙂 I like the feature of selecting only certain brands, too. This is a wonderful beginner’s guide that I wish I had had back when I started traveling! Great job! Thanks so much, Chelsey! Glad you found it useful. Thanks for sharing! This sounds very overwhelming but doable. Maybe someday I will get the motivation to do this… Once my kids are a little older! LOL! It is overwhelming at first. If you have any specific questions, please don’t hesitate to ask. Thanks for reading! This is a great guide but this sounds like a lot of work. Is it? It is a ton of work to keep everything straight. However, if you are only planning to use miles for one trip, it’s not that bad. My head spins because I am trying to learn the best cards to use when and which miles cost less in points. Plus, I am juggling trips for the next three years in my head. I always said it was like a part-time job just to keep it straight, in addition to my full-time job plus being a mom. I don’t spend nearly as much time on it now as I did back in 2012-2014 when I was learning all of it. But, yes, you need to be very organized. If you have any questions, please let me know! I am loving this post! Such great tips for people getting started out travel hacking! And totally agree with American Airlines as you can hoard miles very quickly here. I love your take on hotels for travel hacking too. When I first started, I thought airlines miles had a lot more value, but some hotels, especially Hyatt offer great value with points too! I love to save money but have never tackled this sort of tactic. I have a friend who swears by it though! If you are good at planning and keeping organized, it can save you quite a bit of money on vacations. It’s not for everyone though because it does get tedious! I’m going to bookmark this post for later! Thank you for sharing! If you have any questions, please let me know! Would love to help. You always have the best tips! I am planning a big trip to Europe next year so I will definitely be coming back to your website!! I love Europe and planning travel! If you have any questions, please don’t hesitate to ask. Oh my goodness. This post was so helpful and I want to start travel hacking, but it seems like a full-time job! I’m currently saving up to buy a house, so I don’t want to open a bunch of credit cards. What would your advice be for me? I always joke that travel hacking is a part-time job, so yes, it can be quite time consuming, especially in the beginning. I actually would advise you, however, to not open any new credit line until after your mortgage goes through and you are living in your new house! You don’t want lenders to see that you just applied for three new credit cards because that does lower your credit score for a couple of months, but it will rebound. Once you move in, definitely apply for cards though especially if you need to buy furniture, add a deck, etc because all that can go toward meeting your minimum spend requirement!